So on Saturday I came across this set at a local flea market (Milton, Wv). I almost didn't stop and look when I noticed it sitting over behind some kids toys and ride-ons but am I ever glad I did. I offered the guy $75 and he later chased me down to sell it to me for that. 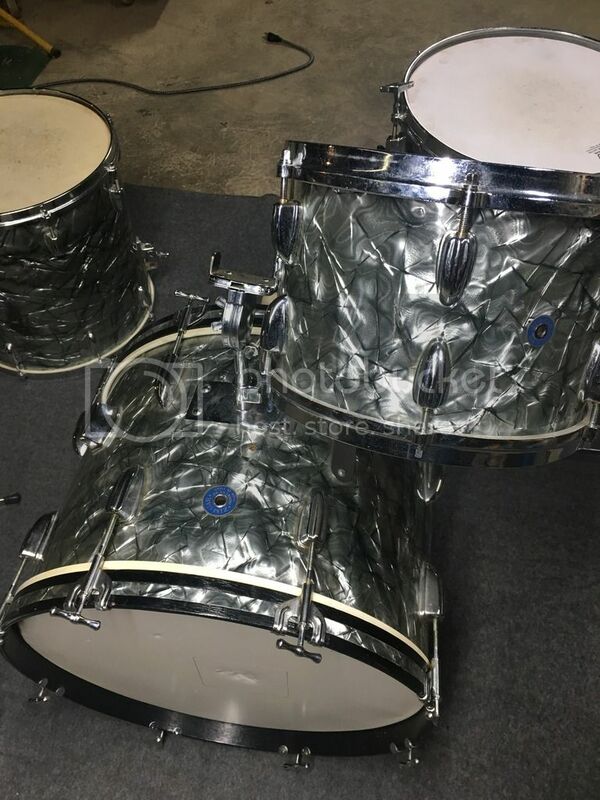 There's also a second 12 that I believe to be a very close matching Slingerland. All for $75 😱. I never find stuff like this! Its your turn! !..enjoy, they sound great and you scored BIG! You scored big, my friend! 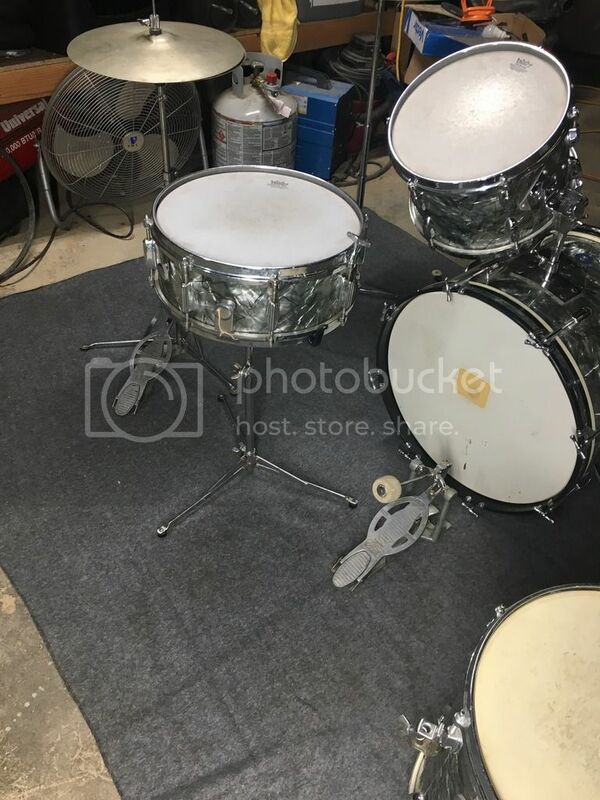 That second 12" rack tom appears to be an actual Slingerland. The tom holder is the Slingerland No. 171 from the 60's. Enjoy your kit! You did very well.....actually great! Well done. Have fun with those. Killer score! Congrats and enjoy the great feeling you must have along with those drums. Beautiful little kit and it's all there. Am I the only one that cannot see the pictures? it's like if Santa had been drinking and showed up ahead of time...Excellent score. Yep, the right place at the right time!! Congrats!! 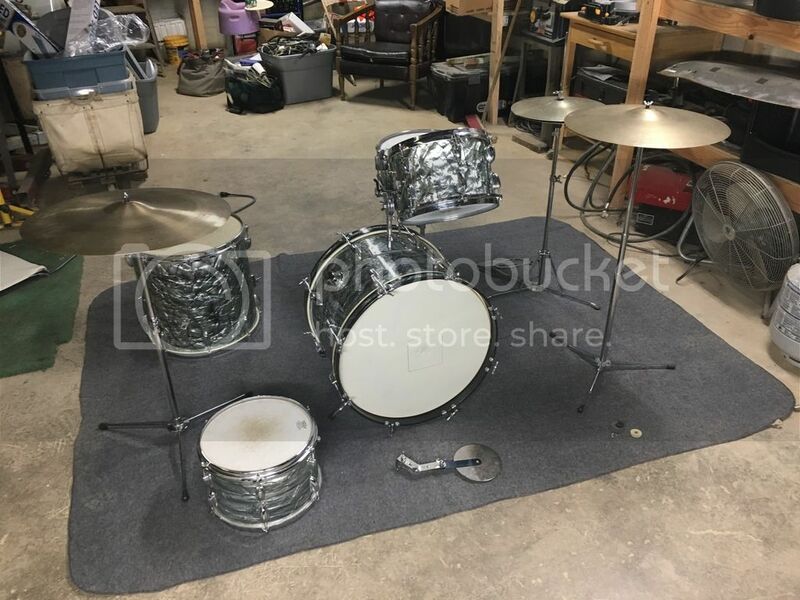 You paid for the Slingerland tom and got the rest for free! !